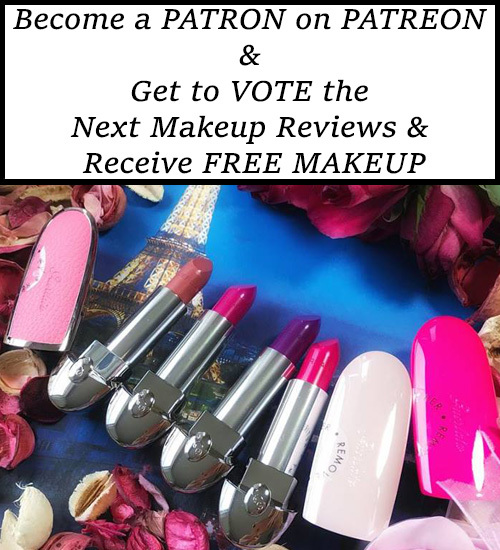 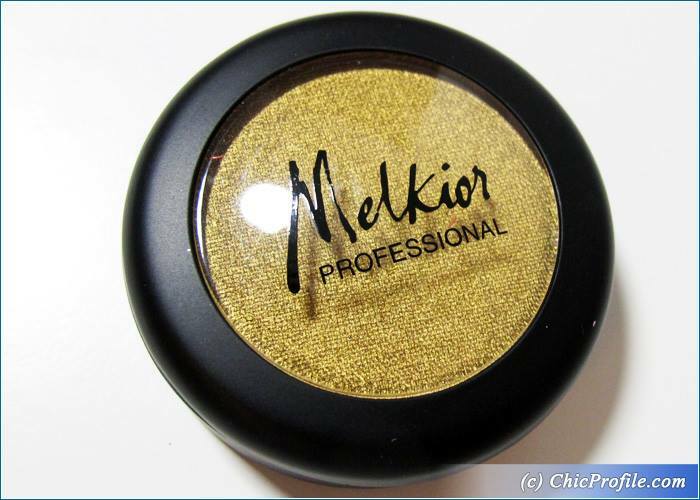 Today I have for you a new shade from Melkior, the new Gold Metal Eyeshadow. 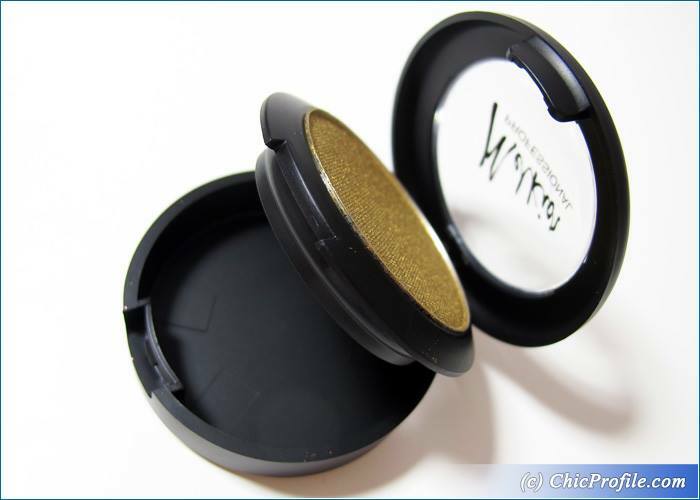 If you are in the mood for gold metallic finishes, or a shade that will pop up on your lid and beautifully reflect the light then take a look after the jump to see how this one performs. 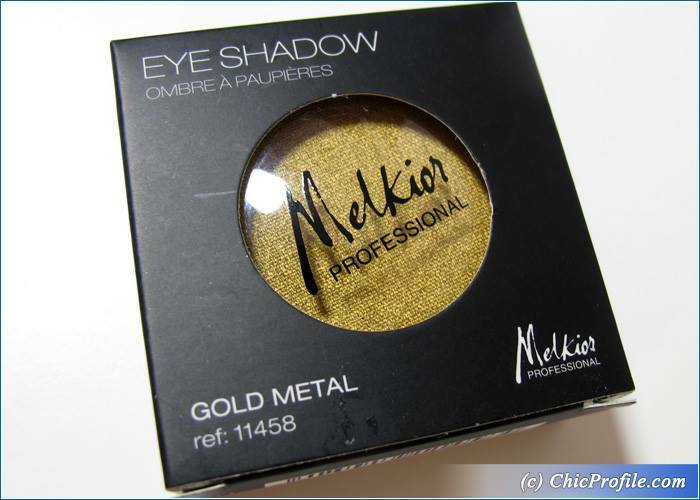 Melkior Gold Metal Eyeshadow (27.00 Ron for 3.2 g / 0.11 oz ) is medium old gold with neutral undertones and high metallic finish. 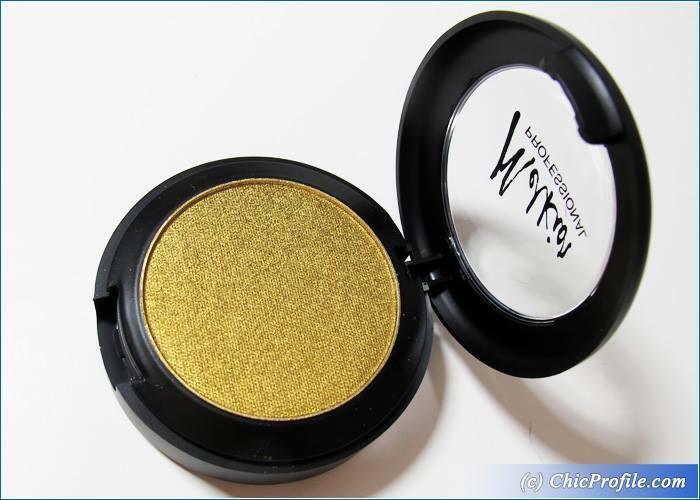 It has a rich, intense and opaque color coverage in one swipe even when swatched and applied without an eyeshadow primer or base. 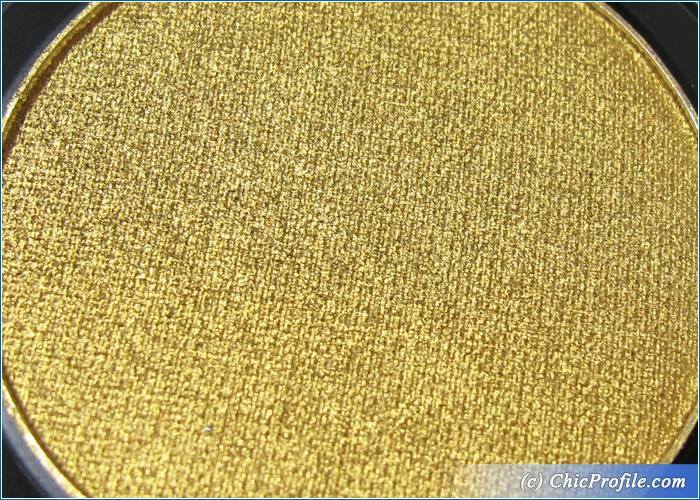 This is gorgeous gold, without showing any green undertones and it would be perfect for a classy, elegant, glamorous or festive look. 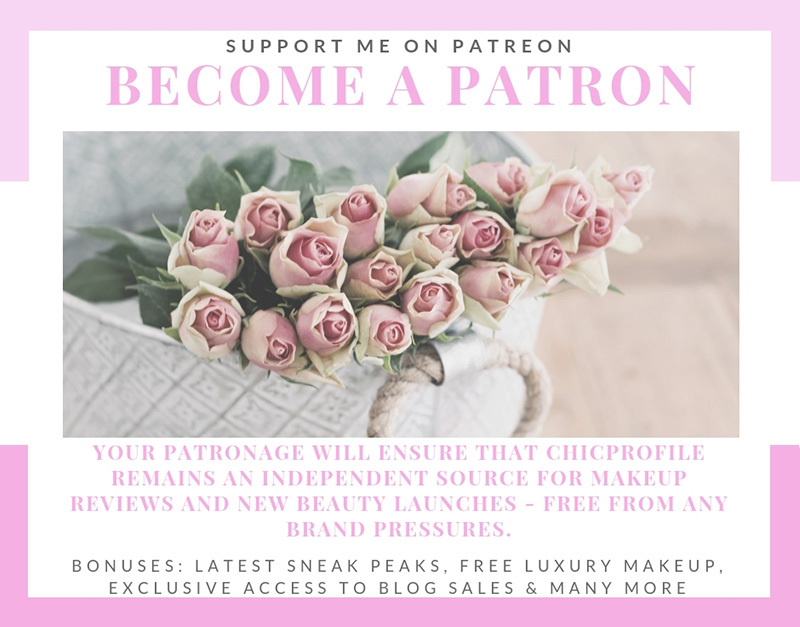 I actually got this shade near the holiday season so it was wonderful to be able to create some sparkling, metallic makeup looks. 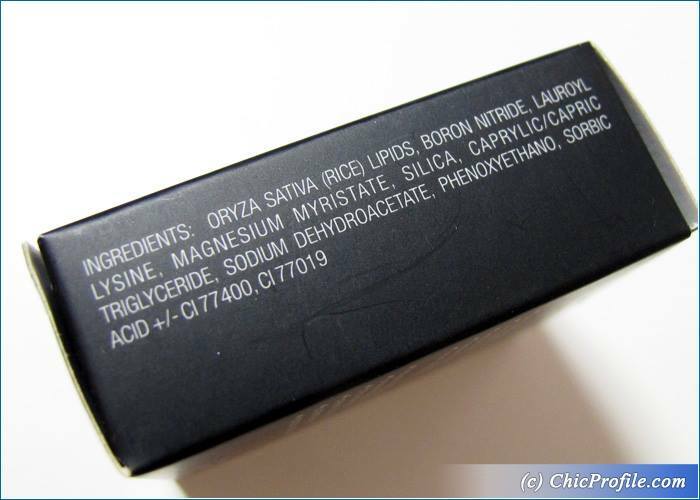 It has a smooth texture, applies and adheres well on the skin without any fall out. 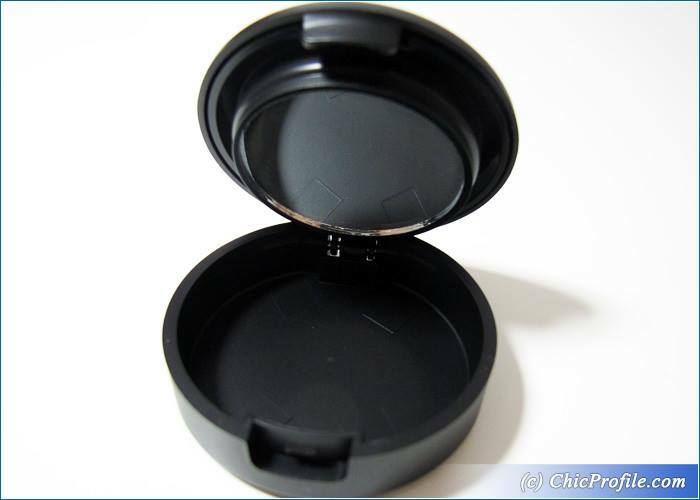 It blends easily and provides an ultra metallic sheen. 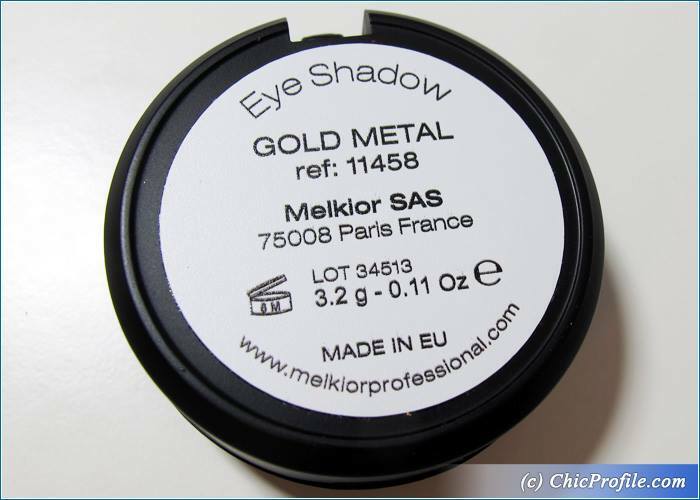 It comes in the classic single eye shadow Melkior packaging with a transparent lid that snaps shut, but it is also available as a refill so you can insert them in your custom metallic palette if you like. 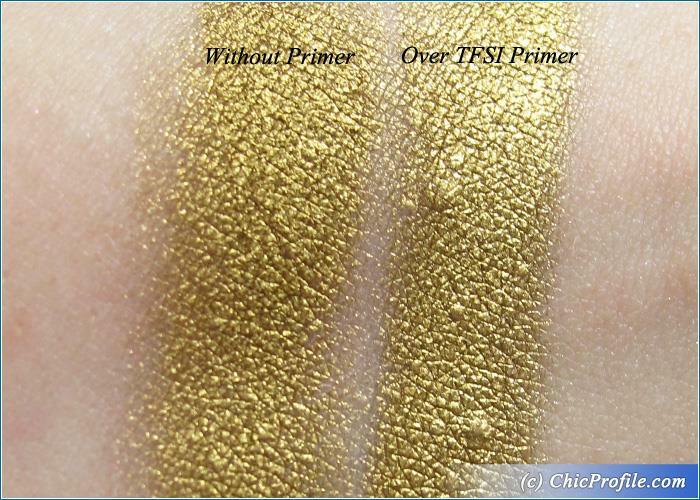 I had over 8 hours wear with this formula, without creasing and showing signs of fading.